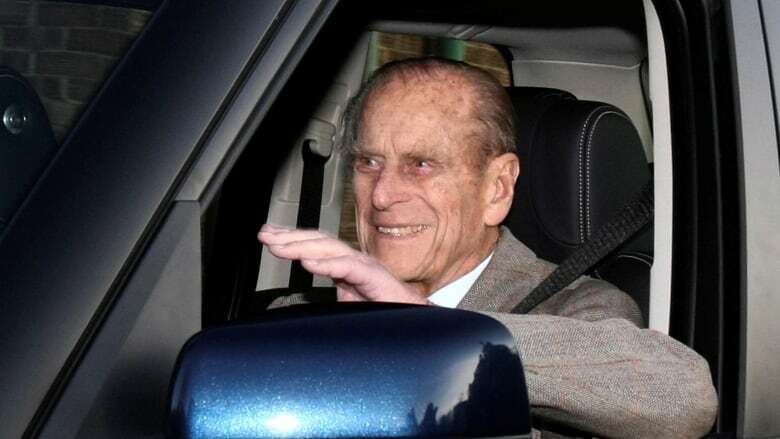 Prince Philip, Queen Elizabeth’s 97-year-old husband, won't face prosecution over a car crash last month that injured two women and left his Land Rover flipped on its side. Prince Philip, Queen Elizabeth's 97-year-old husband, won't face prosecution over a car crash last month that injured two women and left his Land Rover flipped on its side. Philip, the Duke of Edinburgh, escaped unhurt from the collision on Jan. 17 when he pulled out onto a main road, colliding with an oncoming car near the royals' Sandringham residence in eastern England. A 28-year-old woman, the driver of the other vehicle, suffered cuts to her knee. The 45-year-old female passenger in the car, which also had a nine-month-old baby on board, sustained a broken wrist. "We took into account all the circumstances in this case, including the level of culpability, the age of the driver and the surrender of the driving license," Britain's Crown Prosecution Service said in a statement on Thursday. Philip wrote a letter of apology to one of the injured women, Emma Fairweather, days after the collision, explaining the sun was in his eyes when he pulled onto a main road near the estate, 160 kilometres north of London. "I can only imagine that I failed to see the car coming, and I am very contrite about the consequences," he wrote. Philip retired from public life in 2017, although still occasionally appears with his 92-year-old wife at official events. There is no legal age in Britain to stop driving, but people over 70 must renew their licences every three years. Authorities said everyone involved in the collision had been given an explanation in writing about the decision.